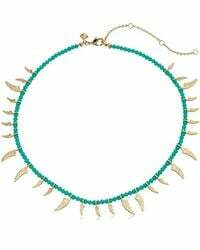 See more Rebecca Minkoff Necklaces. We check over 450 stores daily and we last saw this product for $50 at Amazon Prime. Stand out from the crowd with the Tiki Beaded Spike Necklace. 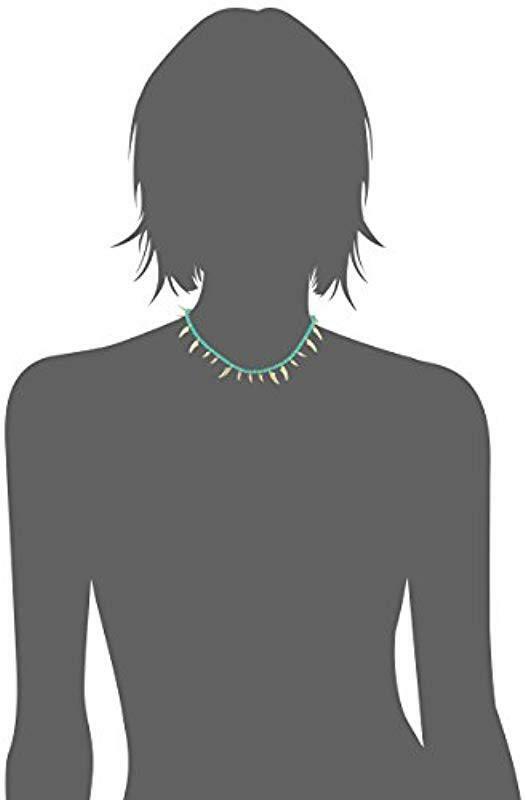 Beaded semi-precious Turquoise with spike charms. Gold-tone finish. Adjustable length. Lobster claw. Measurements: Chain Circumference: 15 in. Adjuster Length: 4 in. 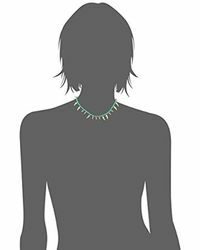 Pendant Height: 4⁄9 in. Pendant Width: 1⁄12 in. Weight: 0.6 oz. 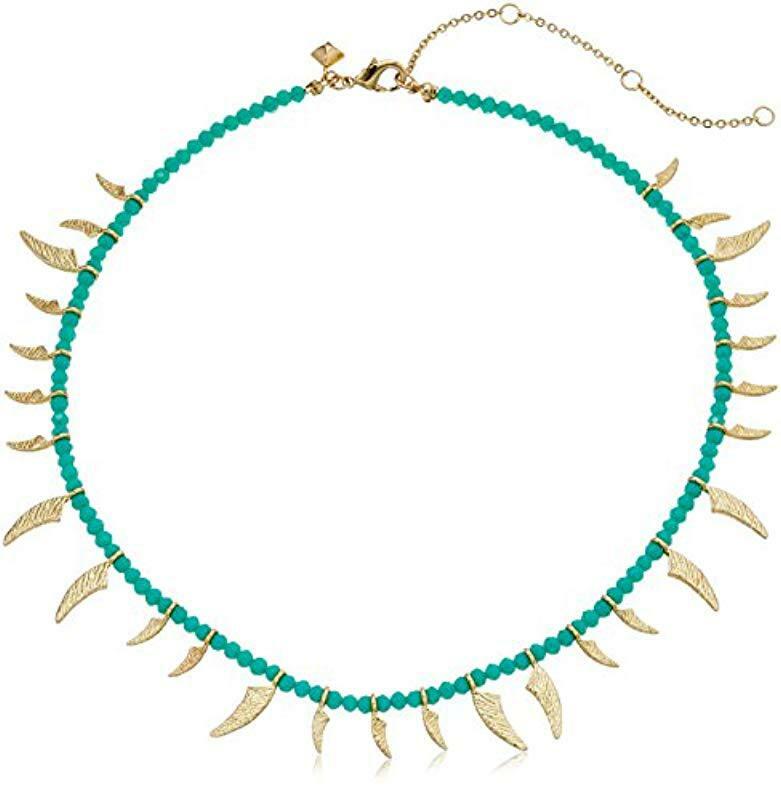 Stand out from the crowd with the Tiki Beaded Spike Necklace.